Advance your Accounting Career. SAP Certification. KPMG Led Summer Schools. Advance your accounting career with the MSc in International Accounting and Analytics. Develop insights, and technical knowledge of tools and techniques for driving organisational performance, and understanding of corporate finance theory and practice. Participate in a SAP certified module through our strategic alliance with SAP. Gain an understanding of and expertise in accounting and business analytics through taught modules and our practitioner led Summer School. This is an intensive 10 - 11 month degree programme for high calibre business related/commerce graduates who have not specialised in accounting and who now wish to pursue a professional career in Accounting. Our team of academics and practitioners provide in-depth practical, technical and research grounded knowledge of key business areas required for success in today’s business environment. This post-graduate programme is taught over two semesters and is followed by two summer schools in May/June. This final element of the programme provides an important capstone to the technical skills you will have developed over the course of the first two semesters. Students taking the year-long programme starting in September secure substantial exemption from the examinations of the ACCA. As a graduate of this MSc in International Accounting and Analytics you will be exempt from papers F1, F2, F3, F5, F7, F8 and F9 of the ACCA. Click here for CPA Exemptions*. *Please note: exemptions from the examinations of the professional accounting bodies are subject to change of syllabus/content. Reflecting the increased importance of analytics for many different accounting careers, this programme is designed to provide early and mid-career accountants with the skills and knowledge needed to engage with big data in a variety of roles in practice and industry. This is an ideal master’s programme if you are already a qualified associate member with an IFAC member professional accountancy body (e.g. ICAI, ACCA, CPA Ireland, CIMA, Institute of Chartered Accountants India (ICA India), CPA Australia (Certified Practising Accountants Australia), the Institute of Cost and Management Accountants of Pakistan (ICMA Pakistan), CIPFA or other body deemed equivalent by the Programme Director) and looking to build your professional qualifications. This unique programme offers, through Recognition of Prior Learning (RPL), exemption from 50% (45 credits) of the 90 credits for this taught master's course to fully exam-qualified accountants who have been admitted to full associate membership of the recognised professional accountancy bodies above. A first class or second class honours grade 1 in a commerce/business degree or a GPA of 3.5 (out of 4) will be required, which must have included the study of Financial Accounting and Management Accounting and Business Finance to intermediate level. Full professional exam qualification and associate membership of a recognised professional accountancy body: ACCA, ICAI, CPA, ICAS, ICAEW, CIPFA and CIMA or other IFAC member body assessed as equivalent by the Programme Director. All applicants, whose first language is not English, must present one of the following qualifications in the English language: IELTS (6.5 overall), TOEFL (88), or PTE (61). Recognising the importance of analytics skills for accountants, the recent ICAS and FRC report on Auditor skills in a changing business world (2016) called for educators to include practical courses on data interrogation and analytics. Our new MSc is the first programme of its kind in UK and Irish Universities to offer practical hands-on modules in SAP and audit analytics tools for accountants. As a graduate of the MSc. in International Accounting and Analytics, you will have access to a wide range of employment opportunities in Accounting, Industry, Management Consultancy and Financial Services. You will have developed an understanding of cutting edge design and use of systems and processes to leverage best use of organisational data to facilitate performance management of business organisations. Coupled with your technical accounting skills you will be well positioned to work within the accounting function and management team to lead and manage organisations to achieve their strategic objectives. 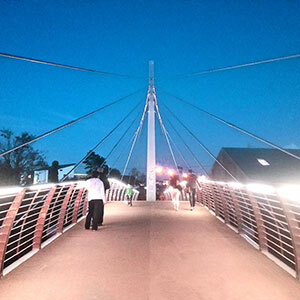 The design and structure of this programme was motivated following consultation and advice from industry, professional bodies, accounting practitioners and regulators. In addition to the core academic modules, students are exposed to a variety of learning technologies to develop their skills for practice and the global business environment. 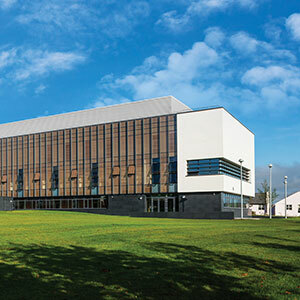 These include: SAP training and certification, exposure to practitioner partners in the form of recent adjunct professorial appointments, practitioner-led Analytics Summer School using cutting-edge tools, international academic-led Summer School addressing all aspects of organizational performance, and a suite of guest lectures. In addition, this programme relies on close relationships with the international professional accountancy bodies which ensures that students have access to e-platforms providing career advice and practitioner networks. Seminar on 30% Club goal to achieve better gender balance at all levels in leading Irish businesses. Our team of academics and practitioners provide in-depth practical and research grounded knowledge of key areas in today’s business environment. This final element of the programme provides an important capstone to the technical skills you will have developed. The MSc (International Accounting & Analytics) class are pictured with Laurence May (KPMG Director), Darina Barrett (KPMG Financial Services Partner) and Professor Breeda Sweeney at a 30% Club event that took place on campus which was sponsored by KPMG. 1MIA3 EU fee €6,075 (tuition €5,851 + student levy €224) p.a. 2019/20. 1MIA3 NON EU fee €10,575 (tuition €10,351 + student levy €224) p.a. 2019/20. The M.Sc. in International Accounting and Analytics at NUI Galway is an innovative programme that provided me with excellent understanding of both advanced accounting concepts and practical knowledge of analytical tools used in accounting and finance. The modules were very relevant and were delivered by Faculty who are top-notch academics and practitioners in their respective fields. The data analytics modules such as Big Data and SAP BW certification prepared me for the transformation that the accounting profession is witnessing right now. The small class environment provided for individual attention with various group activities making learning an enjoyable experience. The level of support from the Professors both in the class and outside was unparalleled. The core modules over semester one and two were supplemented by the Big Four practitioner led summer schools and guest lectures from industry providing us with the latest industry insights. 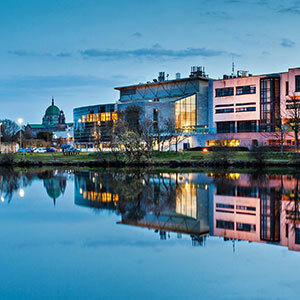 Studying in the scenic campus bustling full of activity of a top ranked University combined with the vibrant and lively culture of Galway city has been one of the best experiences of my life. The Programme is well designed to meet the changing business requirements and, to enhance the students functional as well as technical skills which are very necessary for this data age. Learning how to use data by applying various analytical tools is very crucial for an accountant to make effective decisions and to ensure transparent corporate reporting. SAP module helped me a lot to understand how business intelligence can help to resolve real-world reporting issues. This programme has equipped me with all the skills which are necessary and trained me to kick start my accounting career with one of the leading Hedge Fund Audit Firms. After speaking to the programme director, I was willing to take the risk of leaving my life in India to aim at higher goals in Ireland. 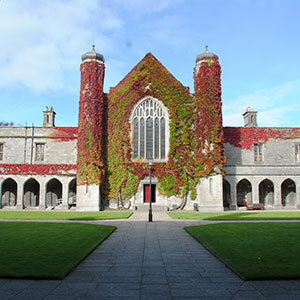 I chose NUI Galway over the rest of the Universities in the world due to the course design and curriculum and the career support offered by the University. The entire MSc was structured smartly on significant topics in this changing world of accounting and finance. I found the staff highly empathetic with us the student community, professional in dealing with problems and they always prioritised the quality of the curriculum. This programme helped me secure a Senior role with BDO's Valuations and Financial Modelling group. I look forward to moving to a managerial role in the next six months where I get the opportunity to lead a team. 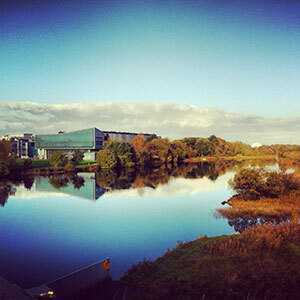 I am very proud to be an NUI Galway alumnus. Studying the MSc International Accounting and Analytics (Pathway A) in NUI Galway is the one of the wisest career decisions I’ve ever made. I have gained professional knowledge from both intensive accounting modules and the practical summer schools which involve cooperation with KPMG and leading international academics. Through learning about big data and taking a SAP module, I have gained insights into and critical skills for managing big data and data analytics. 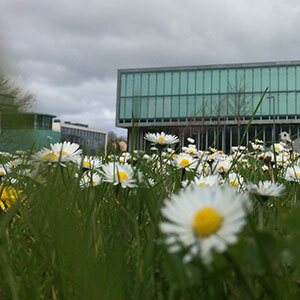 I have to say that the learning experience of the entire MSc International Accounting and Analytics programme in NUI Galway has played a significant role in landing job offers from the “Big Four” for me. I really enjoyed and am so grateful for my time studying here! The good news is that when you join the new MSc (International Accounting & Analytics) at NUIG you automatically become part of the ACCA Accelerate programme, ACCA’s early entry programme to becoming a chartered certified finance professional. Accelerate allows you to leap ahead on your journey to becoming qualified, and provides additional benefits such as discounted exemptions and access to ACCA’s professional network, supplying you with invaluable career advice and support before you even graduate. The well established and proven advantages which a strong finance function brings to a business will need to be reimagined and adapted to the requirements of big data, the burgeoning of digital channel transactions and the increased demand for real-time and predictive analytics. This must complement more traditional financial and management accounting reporting. The accountant of the future can play as vital a role in high performing business as he/she does today but that will involve a transformed relationship with analytics and key aspects of "Platform 4.0" such as adaptive technology and artificial intelligence. There is constant growth in the supply of data. The job market demand, across many career roles, is for your ability to deliver better data insights. We need to speak the language of data analysis. We need to translate and simplify complex data into key message insights and to communicate these in a clear and visual manner. 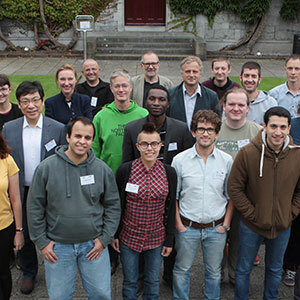 The MSc (International Accounting & Analytics) from NUI Galway is your opportunity to jump on a surfboard and to learn to read the key data waves from the big data ocean. "Analytics is the key skill that differentiates an accountant from a true business partner, and can ultimately define the career of an accountant as analytics brings more meaning, life and understanding into accounting information". 170 years experience providing university education. Ireland's top University for graduate employability with 98% of our graduates employed or in further study within six months of graduating.